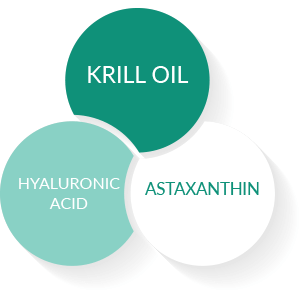 Are you tired of just managing joint pain instead of really supporting healthier joints? 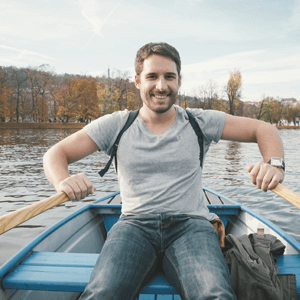 Flexuron® was created to help bring the comfort, mobility, and flexibility of your joints to a place where you can start enjoying your life again! Flexuron® is about getting you back on your bike, planting your spring flowers, or down on the floor playing with the kids! 2. 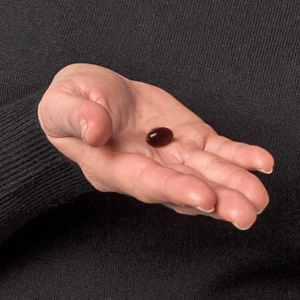 It's Not a Temporary "Fix"
Not to keep picking on glucosamine and chondroitin, but have you ever seen the size of those pills? And depending on the formulation, you might have to swallow 4 or more of them a day! But Flexuron® does its work with just 1 small soft gel a day. 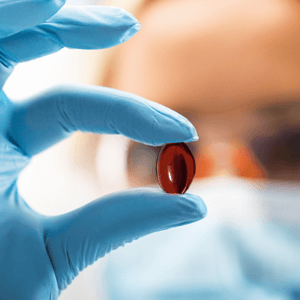 Now that’s a lot of power in one tiny pill! Okay — here’s the evidence we promised. 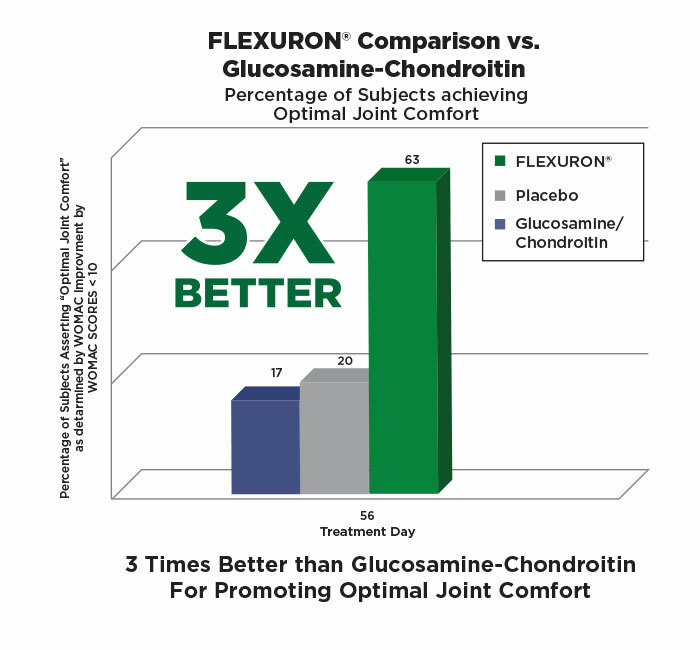 In a recent double-blind clinical trial, Flexuron® went head-to-head against glucosamine and chondroitin (and a placebo, just to keep things fair and accurate). None of the 100 participants knew which one they were taking. Each person was asked to track and report their joint comfort over the course of 56 days. And, at every check point — using the clinical diagnostic WOMAC scale for assessing comfort levels — Flexuron® beat the competition. It wasn’t even close. Remember how we mentioned that Flexuron® is unique? Well, it’s so unique — and so important to you and to science — that it’s backed by a family of 18 patents. 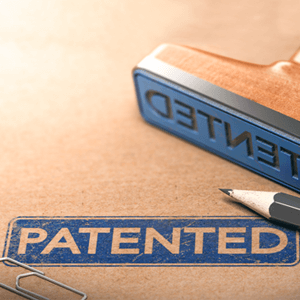 If somebody is trying to sell you something “similar,” be sure to check the label for the patents and trademarks — and of course the Purity Products® logo. Flexuron® is not available in stores. And anyway, you’ll be too busy going for walks, playing golf, and hitting the dance floor to worry about going shopping. But you can order Flexuron® online and we’ll ship it to you. 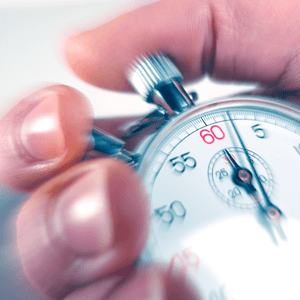 In fact, we even have a handy Super Saver discount auto-ship option so you never miss a day! 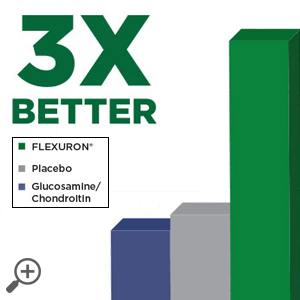 Trying out Flexuron® for yourself is a no-risk, no-problem thing. 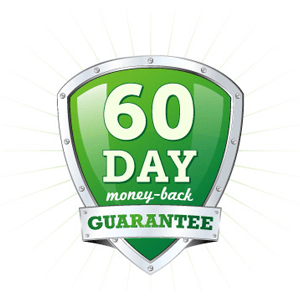 If for some reason you are not fully satisfied, you can contact us within 60-days for a refund. After all, we’re concerned about your joints and we want what’s best for you.